Home » News » Ice Hockey in Paris! After the French Ice Hockey Championship Final in Paris, the 81 st Ice Hockey World Championship in Paris will take place from 5 to 21 May 2017, in the proximity of the BVJ PARIS Youth hostels : the first, most central and most Parisian youth hostels in Paris, for a young and budget accommodation in Paris, a group trip in PARIS, in the heart of the capital, or a family weekend in Paris, near the Louvre Museum and in direct access, in less than 15 minutes, to the Arena of Paris: Parc Omni Sports of Paris Bercy, known as POPB! 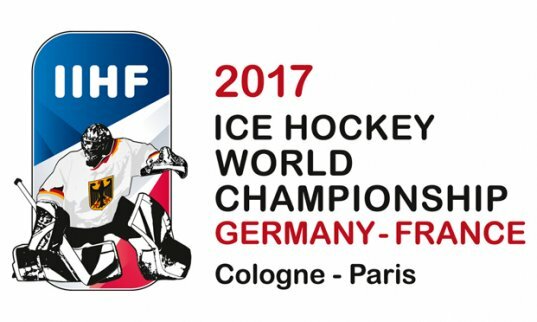 From 5 to 21 May 2017, France will host the 81st edition of the IIHF World Championship Ice Hockey, so do not delay and book a budget accommodation in Paris, in the BVJ Youth Hostels in PARIS ! The event will take place in an unprecedented format in Paris with, for the first time, a co-organization with the city of Cologne (Germany). The competition brings together the 16 best nations of international ice hockey, divided into two groups. For 17 days, 64 matches will take place in Paris and in Cologne with only one winner of the 2017 World Champion on Sunday, May 21, 2017! Paris will host the 8 teams of Group B: Canada – reigning world champion, Finland, Czech Republic, Switzerland, Belarus, Norway, France and Slovenia. There are also exceptional matches, plus a bonus: two quarterfinals which will take place in Bercy (POPB: 8 boulevard de Bercy – 75012 Paris, Gare de Lyon – Bercy – Paris 12th). It will be a total of 30 high-level matches that the Parisian public will have the privilege to discover in Paris! 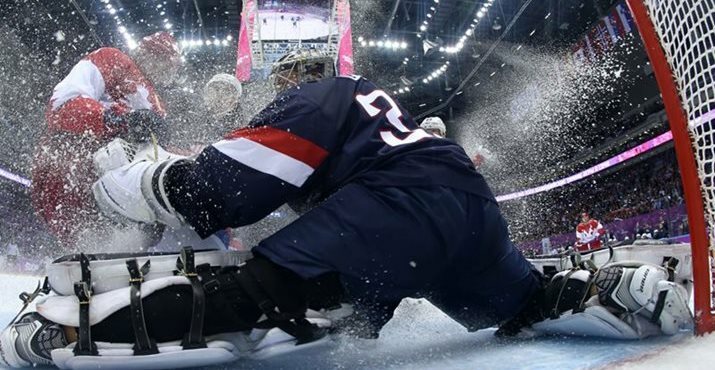 Followed by millions of enthusiasts, the 2017 IIHF Ice Hockey World Championship is expected to attract 300,000 spectators during the fifteen days of competition. 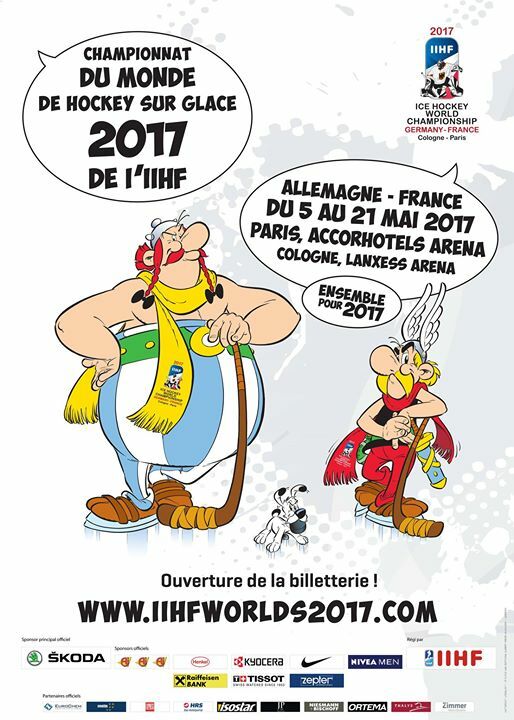 The favorites for the great title: Canada, Russia, the United States … and maybe a great feat of the team of France, with our Gauloises mascots: Asterix and Obélix! • no point for a defeat in regular time. The extension is 5 minutes to 4 players against 4 (plus the goalkeepers). And yes ! From May 5 to 21, Paris hosts the largest annual winter sport event: the 81st edition of the Ice Hockey World Championship in Paris. Sixteen nations will compete in 64 games for 17 days with only one winner of the 2017 World Champion of Ice Hockey in Paris. Finland and Belarus will open the festivities in Paris, just before the evening of the match between the reigning world champions, Canada, against the Czech Republic. The French team will close the second day of matches with their first match against Norway in a remake of the match of the last Qualifying Tournament at the Olympic Games. Les Bleus will play with the Finnish world champion, and after that will face Switzerland, Canada, the defending champion, Belarus, the Czech Republic and Slovenia, successively. For two weeks of intense competition, the Blues will need all your support to face the best teams in the world … As Asterix and Obelix, the mascots of the event, be a part of the adventure and join the ranks of fans of France with the French League of Youth Hostels, (LFAJ : Ligue Française des Auberges de la Jeunesse) and BVJ PARIS Youth Hostels: Louvre, Opera-Montmartre, Champs-Elysées Monceau! Together for 2017, come encourage your World of Ice Hockey heroes in Paris next May, from the BVJ PARIS Youth Hostels!